Nintendo has shared a brand new video interview with Motion Twin, the developer behind one of Switch's most recent success stories, Dead Cells. 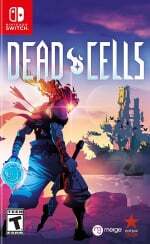 When it launched last summer, Dead Cells received an awful lot of praise from critics (including ourselves) and was soon devoured by gaming fans around the world as they heard about its excellent roguelike design. The game sold more than 100,000 copies in its first week, and since then, Motion Twin has revealed that, while there are no plans for a Dead Cells 2, the studio has been hard at work on a DLC package and smaller updates. Motion Twin's Steve Filby and Sebastien Bénard briefly discuss these plans in the video above, talking about the game's surprising success and reiterating their plans for DLC. One particular tidbit worth noting is talk of the game reaching 60fps; the developer publicly apologised for the Switch version's frame rate drops last summer, but Filby mentions in the interview that a full 60fps has now been achieved internally. Hopefully this improvement will arrive in the game soon. Make sure to check out the full interview above and share your thoughts with us in the comments. Have you played Dead Cells? What did you think? Why not 60 fps on portable mode not bad and if also 60 fps at 1080p even better now the Trolls will be reeled in hard won't they. More support is always a good thing! I have personally moved on after about 30 hours invested, but loved my time with this one and look forward to a sequel some day. I have the game and have played it for a brief while, I enjoyed it but had other stuff in backlog. If an update including a stable 60 FPS fix is on the horizon, I'll definitely be picking this back up to get into it proper. Got this game as a gift on my XB1. Quite awesome game. I like it very much. Would love to play it on the Switch for when I'm away, but I'm waiting for a decent sale as the price for a roguelike like this, on the Switch, is a bit much over here ($35) for my tastes. One of my favorite indies on the Switch, and one of my favorite roguelites ever. I've put in more than 120 hours, and would gladly come rushing back for DLC, new weapons, and new monsters. 60 fps would be nice, but any frame rate drops I've experienced up until now didn't really deter me from playing. I remember when all games ran at 30fps, and now today i'm still fine with it as long as i'm not playing online against someone who has a faster fps. This might be my favourite game from 2018, some good dlc will be a great excuse to revisit. I really like Dead Cells. I like the graphic designs, art style, controls and the 2D platform style but it is just missing something from being truly great like online leaderboards or two player co-op even being able to have a hub world/area where you could choose a path and not have to start at the same area every time would be nice but I feel it really needs some form of online play like a co-op mission based arena. It just feels like it could be on the path to be something special and I hope the upcoming DLC is the filler for that void cause it is a fantastic title rife with promise. @Reynoldszahl Please do tell us how you did it lol. I've gotten to the Hand of the King about 5-6 times and gotten him down to about 1/3 health but it's never enough to finish the job. I still have yet to get the damn wall jump, getting sooo close though. Bought the physical edition but my backlog and the news of a this potential update has held me from playing. So glad it's coming soon so I can sink my teeth into this. Ordered this game the other day, can't wait to try it, despite not yet getting into any of the rogues I've tried. @Jokerwolf to beat the elite that has go in with a trap if you have them unlocked, if you can go with both a trap and turret it’s nearly impossible to fail. @mazzel Hey mate yes there are timed doors to be opened. But those are for when you've mastered the game and can deal with everything without being proper tooled up. Even now at 90+ hours I still uncover the whole map before moving on. The game is set for people to play their own style I've got a mate who has solely sped run the game from day 1. Frustrates the hell out of me watching that. @Jokerwolf keep going buddy youll love it! I am glad DC is gonna be getting new DLC. This is great news. Didn't they said they were releasing the patch in Nov last year? It's too late now, no one cares about this game anymore. I absolutely love Dead Cells on the Switch and have zero issues with the game not achieving 60 fps. I just wish that the developers would add a mode that made the game less rogue like. Maybe a new game plus mode that allowed you to decide your weapon load out and that didn't punish you for dying. @Jokerwolf i recently got it. It's random. I received it by defeating an elite. That's one of the things I love/hate about the game, the randomness. @Retupmocnin it was patched on the pc back in November. Also nobody cares? Seems to be plenty of folk talking about it in a way that prices that statement redundant. Use damage reducing items it helps a lot. More of a good thing can only be good. Loved Dead Cells, so i'm all for DLC. @MarzipanD Who cares about PC? This is a Nintendo site. @Retupmocnin the game is historically a pc game. It's where the game was developed and where the core audience was. So they patched it over there. Much like how Warframe is patched and gets dlc ahead of the consoles. So to answer your question again. It was patched on pc in November. It's now being patched on the Switch. I also wonder why if you have no interest in the game you are bothering to post about it? But I don't have to wonder too hard. That one time I actually beat the final boss in Dead Cells, I was genuinely surprised I did it. The PC patch is considered a “beta patch”, and while it adds the feature of being able to control what weapons/items drop, they changed a whole lot of other things that I’ve read mixed opinions on. I’m curious if there’s anyone here to comment that has played it on, both, Switch and another platform? If it plays significantly better, I wouldn’t mind paying for it again on Xboner. @MarzipanD I was talking about the patch for Switch that the dev promised to deliver in Nov, moron. They never promised it in November for Switch. A lot of outlets reported the alpha patch was being tested in November on wait where was it? Oh yeah the PC. They then assumed it would quickly roll out on consoles. It never. But again you have no interest in the game so it's no surprise you got it wrong. I dug a bit and according to Motion Twin’s Tweeties, 1.1 will be hitting consoles...early as this month. While @Retupmocnin and @MarzipanD are busy Foxy Boxing, I’ll be playing the 1.1 patch that just dropped on PS4, XBOX, and Switch.